Let your child tell you the whole story first, if he’s willing to talk. Don’t cut him off halfway through by saying, “Well, that’s not what they said.” If you do that, you’re never going to hear his side of the story. By the way, your child’s account may not be accurate or honest, and his perceptions may not be valid. But the bottom line is that if you hear the whole story, at least then you’ve got something comprehensive to work with.If you stop your child when he sounds like he’s not telling the truth, you may miss the point that shines light on the fact that it’s a matter of different perceptions. Often, a child’s perceptions aren’t the same as an adult’s—and you won’t learn that unless you hear the whole story. By the way, these misperceptions will need to be corrected. So encourage your child to talk. Find out what the school’s usual consequences are for fighting when you talk with them. If they ask you, “What do you think we should do?” I think you should say, “Well, what are the standard consequences for this behavior? Is there any reason why you shouldn’t follow them? I think you should follow your policy.”Let me be clear here: anything that your child does that is physically aggressive, physically abusive, or verbally abusive should be followed up at home with a discussion and possible consequence. (Any functional problem—running in the hall, chewing gum, throwing something—should be handled by the school. It’s their job to manage routine behavior. 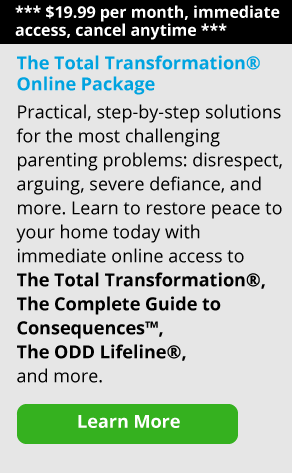 )The reason you have to challenge the more disruptive behaviors at home is because home is the place where you have the time to teach him about alternatives. If it’s the first time, help him figure out where his coping skills broke down, and then work with him on coming up with some appropriate ones. On the other hand, if this is the second time this has happened at school, not only should you talk about where his skills broke down, but there should be a consequence to keep him accountable. That consequence could include any task that you think would be helpful to his learning about the situation for the amount of time it takes him to complete it. So grounding him for six hours is not helpful, but having him write ten things he could do differently next time is helpful.If your child is suspended from school, I recommend that he loses all his privileges and electronics until he’s off suspension. That timeline is easy; the school has already set it for you. Remember, if your child is suspended to home, then you put the keyboard, the cable box, the iPod and the cell phone in the back of your car when you go to work. Fighting at home differs from fighting in school for a parent because if you weren’t there when the fight started, the reality is, there’s no way to tell who’s telling the truth—or if in fact there is a truth. Remember, if two kids with distorted perceptions get into a physical fight, there may not be a truth; there might just be their distorted perceptions compounded by the absence of communication and problem-solving skills. Either way, if you weren’t there to see the fight start, the best way to deal with it is to give both kids the same consequence and learning lesson. To begin with, meet with each child briefly to get their perceptions. Then give each kid the same consequence and learning lesson, no matter who you think was responsible for starting it. So that might be, “You will both go to your rooms until you write three paragraphs (depending upon how old your child is) on what you’re going to do differently next time.” Or “Each of you has to go and write an apology to your brother. Until it’s done, you both stay in your rooms.” If your kids share a room, then send one to the kitchen. Separating them is important because not only will it stop the fight, it will help your kids calm down.With younger kids, they can be sent to their room for a while to play on their own. And with older kids, let them listen to music in their rooms. The idea is that they should calm down and then write their essays. (With younger kids who can’t write yet, you might just have them tell you what they will do differently next time.) By the way, each child should be dealt with separately, regarding how they respond to the consequence. So if one child is resistant and defiant and the other is not, that’s taken into consideration, in terms of how long they have to stay in their rooms or go without privileges.